[ANN] [ICO] XefoCoin – Next Evolution in Digital Currency! Thread: [ANN] [ICO] XefoCoin – Next Evolution in Digital Currency! Are you looking for financial stability then that’s exactly what XefoCoin is here for! It is a free open source project derived from Bitcoin with the goal of providing a long term energy efficient scrypt-based Cryptocurrency. It is a decentralized peer-to-peer platform, created under an open source license, featuring a built-in Cryptocurrency, end-to-end encrypted messaging and decentralized marketplace. 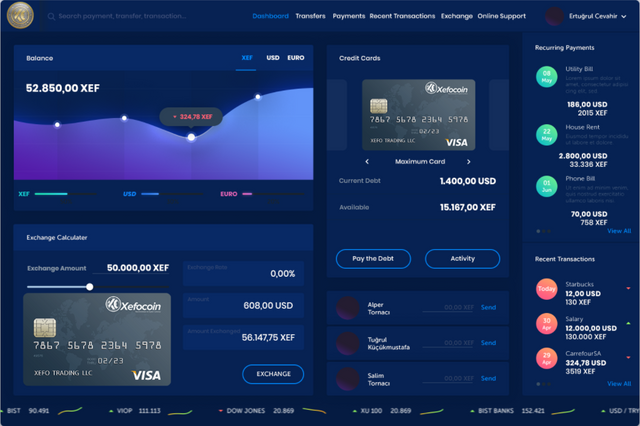 XefoCoin can be used for just about everything from educational services, bill payments, trading, buying, selling and much more. It can be exchanged just like regular currencies! We are living in a society based on control and permanent surveillance by the central institutions, the private institutions, and private companies. This is where XefoCoin is going to bring revolutionary change and be the solution to Economic freedom and privacy that everyone deserves! It is the option that is going to be highly suitable for IT and financial environment, international free trade with high technology, safety, and convenience. XefoCoin has only one aim and that is to give you something that every customer, investor, trader and anyone can TRUST and believe in. We aim to go beyond investments and returns, as we seek to educate the community regarding the exciting opportunities offered by the Cryptocurrency environment. XefoCoin simply aims to be the BEST in the industry with our innovative way, idea and most about importantly, it’s to do with our care for every single customer. With the world already going through a lot of complicated stuff, it’s XefoCoin’s ultimate vision to make paying SIMPLE! Whether you are on vacation in a foreign country, shopping online or simply required to pay for the groceries, it all will be possible with “XEFO Card”, it can be used in any country where Visa cards are accepted and it automatically converts the XefoCoin to the desired currency. The option of withdrawing to local currency is also available from any ATM that accepts Visa with ZERO transaction fees! 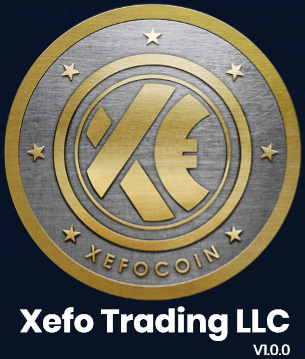 XefoCoin also allows the access to Xefo Wallet from desktop or smart devices including Android, IOS, Web and Windows Operating Systems helping you to performing transactions on the go! XefoCoin not only focuses on ensuring the finest structure is in place for the users but also have the team that simply best in their field! We have put in the finest head under one roof to ensure something as fantastic as XefoCoin is brought to the world. We are glad to have a team of this caliber, and that is how we will ensure to stay up with our mission to make a revolutionary change to the Crypto world! Apart from the team, we have got ideal partners to help us through to achieve the desired destination and to give the Crypto world that is going to be truly a role model for upcoming ICOs. The ICO sale has just started with the first round running from 15th April (today) 2018 to 30th April 2018 with 35% BONUS! The sale starts with $0.06 per (1) XEF with 35% Bonus. The price will increase and bonus will decrease after every 15 days, as we move into next stage of the sales! The FIRST 1000 registered users who buy a minimum of 100 XEF will receive 500 XEF for FREE! But that’s not all! We have another deal for you with our unique referral deal! Join our referral program. Share your unique link, refer friends and get 5% of the XEF coins that are purchased by your friends! The best part is that your friends too will get 5% BONUS for using your link, so isn’t it a blockbuster deal? So, we invite everyone to be part of this massive opportunity that is going to change the whole landscape of Crypto world!